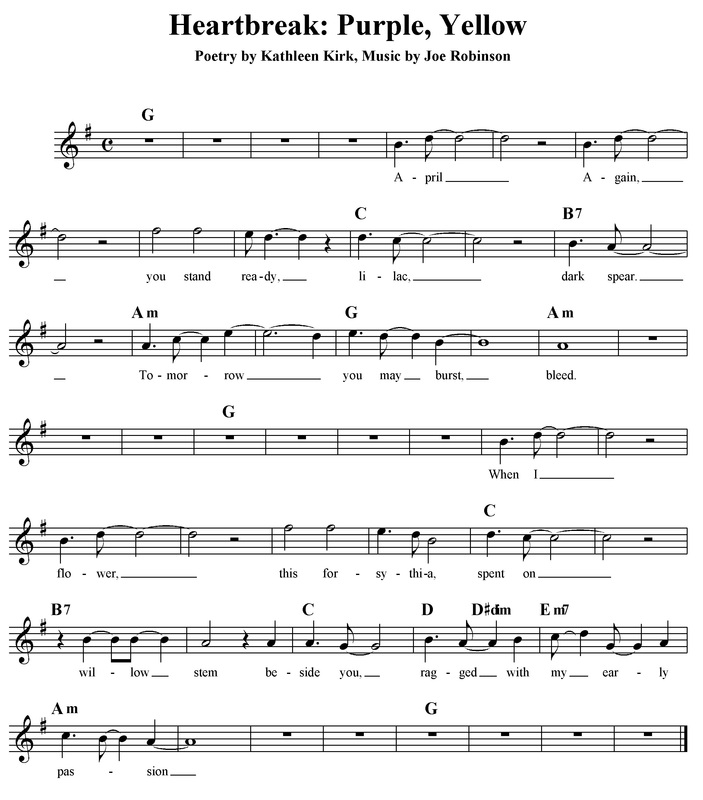 Featured here is a collaboration between poet Kathleen Kirk and musician Joe Robinson. Kathleen is the poetry editor for Escape Into Life. Her poems appear in print and online in a variety of journals, including Blood Lotus, blossombones, Confrontation, Poems & Plays, and Poetry East. She is the author of four poetry chapbooks, most recently Nocturnes (Hyacinth Girl Press). She blogs at Wait! I Have a Blog?! Joe lives in Chicago. He is jealous of your vegetable garden. For this piece, Joe wrote and recorded a song for Kathleen’s poem, “Heartbreak: Purple, Yellow,” which original appeared in Blood Lotus #5. Tomorrow you may burst, bleed. beside you, ragged with my early passion. Download Heartbreak: Purple, Yellow or click below to listen. I, of course, am delighted to see and hear this! Thank you, Joe! Thank you, Ham Kicker!